experience a few slip-ups. Chances are you’ve researched how to successfully optimize SEO but there’s always more to learn, even for the experts. It’s important to be conscious about the keywords you select to market your product or service and the value assigned to each. Mistakes occur, naturally, when learning new things. You might wonder why the traffic on your site doesn’t improve, dramatically. By learning more and more, and by trying new techniques and measuring effectiveness, as well as by identifying your limitations, you can move closer and closer to that first-page ranking you’ve always wanted. Below are a few SEO no-nos your company should avoid to be the center of attraction. Many marketing KPIs across industries boil down to measuring increase in website traffic, with a goal of attracting as many target consumers as possible. Local search is an excellent way to address this issue. Local search allows you to learn the specific keywords in the targeted or desired region that are most likely to skyrocket the traffic to your fresh content. Try modifying the title and headlines of your article to include region-specific keywords, and consider changing your meta description to attract local consumers. Using simple titles and meta descriptions is highly discouraged since these should get your audience pumped up to visit your website, not just promote your brand. 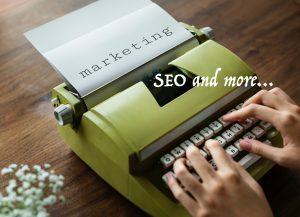 SEO experts encourage content writers to be clear yet creative when formulating titles and meta descriptions. Beginners often place the brand in the first part of the title when, in fact, they should be promoting the site itself. Create titles that will catch the reader’s attention and that creatively describe what the content is about. Be sure to should use relevant and enticing keywords in these titles and meta descriptions. SEO is only as strong as your conversion rate. Converting a visitor on your website to a consumer and then to a return customer of your business is not as easy as we make it sound here. Using general, popular, “high-traffic” and global keywords will put you in competition with a lot of high-end companies, which may not help your business’ visibility. Quality is better than quantity in this case. There are numerous instances where lower-ranked keywords have proven to be more effective than high-ranked keywords. If you’re a small business owner, don’t lose hope, just make sure to consciously choose your keywords and stay up-to-date on keyword trends. Identifying the exact phrases and keywords that consumers are searching in their search engines when looking for your product or service is your main goal.